For many of us here in Ontario, March is that one month of the year that we all have mixed feelings about. For many, it feels like the end of the era. 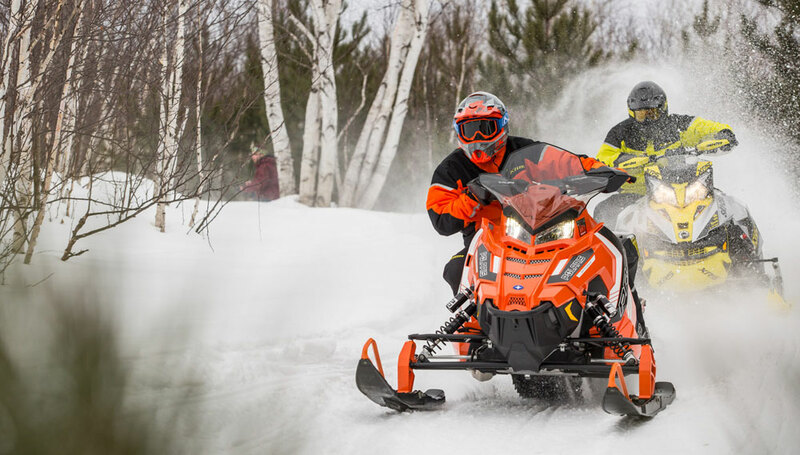 The end of snowmobile season is like saying goodbye to a cherished friend, and the act of storing a snowmobile for the summer season is a somber one. The countdown clock restarts, and the summer is quickly booked with activities to keep our mind off of what we truly want to think about; next winter. This year felt a little different, though. With the poor winter season in Ontario, disgruntled die-hard sled heads were a bit put off by the winter weather, or lack thereof. While some were able to get out riding on OFSC trails and also off-trail, others were barely able to break in their new sleds. The varying temperatures and conditions were enough to drive many of us crazy. There wasn’t enough snow to snowmobile too far or too often, and yet it was too cold to ride motorcycles. So, what is an Ontario sledder to do? The conundrum this year got real. Like really real. Us Ontarians had to reach deep inside ourselves to pull out an inner strength while Mother Nature toyed with our emotions. Every time the weather network announced a winter warning, we excitedly prepared only to be disappointed time and time again. Of course there were periods of time that Ontario had snow to play in. The further north you traveled, the better the trails and conditions. My Northern friends made sure to post lots of pictures to remind us southern Ontarians what we were missing. Fortunately, I made it up to Huntsville area for a mid-winter trip with the folks from Backcountry Tours, and also made it out west for an epic snowmobile adventure with She Shreds Mountain Adventures in Pemberton, BC. The ultimate end of winter trip was scheduled for early-March in Wawa, as they had the best powder in the province this year. Of course, given my luck, conditions quickly declined the week before our trip, so we made the decision to reschedule for next season. Looks like I’ll have to wait another year to discover the top secret boondocking location. Something tells me this will be worth the wait! Read more about the Time for Snowmobilers to Make Amends with Mother Nature at Snowmobile.com.